Virginia can remove the Confederate battle flag from one of its license plate designs, a judge in the commonwealth ruled Friday. Judge Jackson Kiser issued the ruling in U.S. District Court in Danville, the Virginia city that was the final refuge for the Confederacy. The flag is currently shown on approximately 1,600 Sons of Confederate Veterans (SCV) license plates, one of the commonwealth's options for custom plates. The decision comes as this mill city of 43,000 grapples with the enduring symbols of the Confederacy, a debate sparked across the South by the mass killings of nine African-Americans in a Charleston, South Carolina, church in June. The suspect in the shootings had been photographed posing with a Confederate battle flag. "This ruling will allow Virginia to remove a symbol of oppression and injustice from public display on its license plates," said Virginia Attorney General Mark Herring in a statement Friday. "Virginia state government does not have to and will not endorse such a divisive symbol. I appreciate Governor McAuliffe's leadership in calling for the removal of the flag and those on my team who moved quickly to get it done." Kiser ruled in favor of a request from the Virginia attorney general's office to set aside a 2001 injunction that allowed the image of the Confederate flag on vanity plates honoring the Sons of Confederate Veterans. The request was opposed by attorneys representing the Virginia and national divisions of the Southern heritage group. In June, Gov. Terry McAuliffe said he would move to have the plates phased out, calling the image of the flag "unnecessarily divisive and hurtful." He also cited a Supreme Court ruling that Texas could bar the Confederate flag from its license plates. In 1999, the General Assembly authorized the SCV plates but prohibited any logo from the design. The group sued and a federal judge sided with the SCV, and the decision was upheld by a federal appeals court. The arguments Friday were expected to focus on the Supreme Court decision rather than philosophical or political views swirling around the rebel flag. The state will argue that the flag on state-issued plates constitute government speech, while the Sons of Confederate Veterans contend it is protected private speech. Bragdon Bowling is a member of the SCV and was commander of the Virginia division when it went to court to get the flag on the plate. He said McAuliffe's action to banish the flag was a "knee-jerk" reaction. "What the governor has done is going to greatly increase the membership of the Sons of Confederate Veterans," Bowling said Thursday. "That's what happens when you try to suppress a powerful symbol." 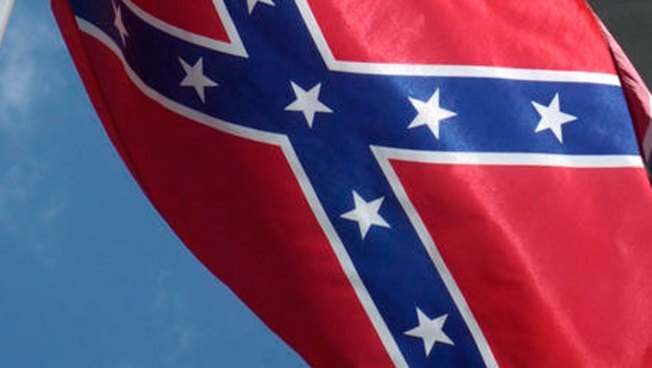 The group insists the flag is a symbol of Southern heritage, not hate. The state Department of Motor Vehicles said it received 34 requests for the SCV plate between June 24 and July 23. The plates were not being issued while the challenge awaited the judge's ruling. The hearing comes amid weeks of discord in Danville over the flying of a Confederate flag on the lawn of the mansion where Confederate President Jefferson Davis and his cabinet encamped in April 1865 until Gen. Robert E. Lee's surrender at Appomattox. The Sutherlin Mansion is now home to an arts and history museum. The Danville Register and Bee has reported that the City Council will banish all flags from city property other than the U.S., Virginia and Danville flag. The debate over the flag's removal has been fiery, and heritage groups have vowed to fight any such move.